Businesses with certain characteristics are likely to find that growth lenders are especially enthusiastic. None of the qualities listed below are hard criteria, but they will give you a flavour of the appetite that lenders might have for your company. Growth lenders like to invest in companies when they have strong momentum and can demonstrate trading is on the up. Lenders will rely on your company’s future growth rather than past performance to service the debt, so strong momentum gives them confidence that your company is on track to achieve this. Growth lenders are actively seeking scalable business opportunities because they offer a risk profile that is very well matched to growth debt. A scalable opportunity is one where the business is fully proven and successful but needs additional resources to expand, for example, it needs to take on sales staff, invest in production capacity, or to replicate a service in new locations. From a growth lender’s perspective, this is an opportunity for clear growth and controlled risk, as the company is simply doing more of what it is already very good at. A hot market means the company is more likely be successful. It will find it easier to scale and it will have more chance of achieving a highly valued exit because such markets will attract equity financing and M&A. Businesses offering a disruptive service in an established market. High gross margin businesses are well suited to growth debt because they service fixed repayments of the debt more easily. A high gross margin is often an indicator that your company delivers high value-added services to its customers. That is evidence of the longevity of the business model and also provides some headroom for lower margins if competition increases. In addition, lenders like the fact that in a downside scenario, it is easier to support or save such companies because it is easier to act on overheads than on variable costs. Growth lenders love business models with recurring revenues because a company scales faster when it only has to win customers once. Also, recurring revenue streams are often predictable; this attribute gives the lender visibility on the company’s future cash-flows and its ability to service debt. Low churn and good organic growth with existing customers. Cash is king for growth lenders. A business plan showing clear cash headroom will ensure the lender is comfortable about your ability to service the debt. Downside protection is very important to growth lenders. It is easier to lend to companies with tangible assets – property, stock, or account receivables, for example, that the lender will rate as high-value collateral. Funding working capital where revenues are recognised ahead of receiving payments. A business with good customer diversification will be considered a well-proven model and less risky. For companies with long sales cycles, the expectations in terms of customer concentration tend to be lower. Growth lenders will challenge you to show that you have achieved what you said you would. This could prove vital for businesses that reach out to a growth lender six to 12 months ahead of actually being in a position to start the fundraising process. There is a large upside to delivering on your plans – or in exceeding them. Doing so is rare and lenders will give you credit for your ability to make accurate forecasts. They will feel more confident about your growth plans. 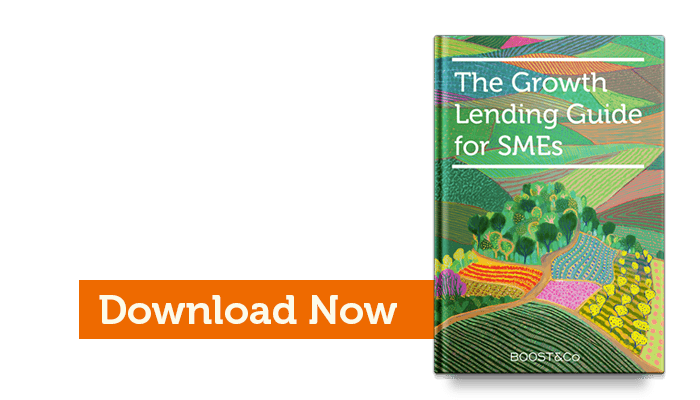 This is an excerpt from our white paper, download The Growth Lending Guide to learn more and discover how Growth Capital can help your business growth without equity-loss.